As everyone knows, it’s very difficult to learn a new practical skill, or to improve upon one that you already have, by simply studying a textbook. To be completely competent in medical aesthetic treatments, practitioners must ensure they receive sufficient practical training for each and every procedure. This training, many practitioners note, is ongoing and essential for safe practice and effective treatments. There are many different ways to learn or stay updated with current practice, but one way is to hear different practitioners with unique experiences speak about their patients to a live audience. It is useful to watch others assess different faces, discuss their most challenging cases, answer audience questions and perform live demonstrations. A perfect opportunity to get this valuable experience is at congresses. With registration for the Aesthetics Conference and Exhibition (ACE) 2018 now open, we re-live just a few of the highlights from last year and take a look at the premium live facial assessments and demonstrations to showcase the outstanding content that was presented on stage. My patient, a 49-year-old male, thought that he looked tired around the eyes and described himself as ‘haggard’ in appearance. In my assessment, I noticed that he had deep grooves around the eyes, quite noticeable perioral lines and under-eye bags. As men have thicker skin than females, they can be more difficult to treat as the grooves around the eyes often become much deeper. Although you could address the eye grooves using a toxin, I wanted to demonstrate the results that can be achieved using only dermal filler. When injecting around the eyes, I would definitely recommend using a hyaluronic acid (HA) filler because it’s such a high-risk area. You need to make sure that you have a product that is going to integrate well within the tissue and not attract too much water, which could result in oedema. When choosing products for the eye area you need to consider the G prime, or elasticity, of the product and how it will behave, because some HAs are not suitable for the eye area. If the patient has thinner skin you need a softer product, while with thicker skin you can afford to have a higher G Prime. Your product also needs to have a lifting capacity, but it can’t be too hard because the eye tissue is very thin, so the product choice is dependent on the patient. I have traditionally used Restylane Refyne or Defyne in this area, which give brilliant results; however, for this live demonstration, I used Aliaxin SR. 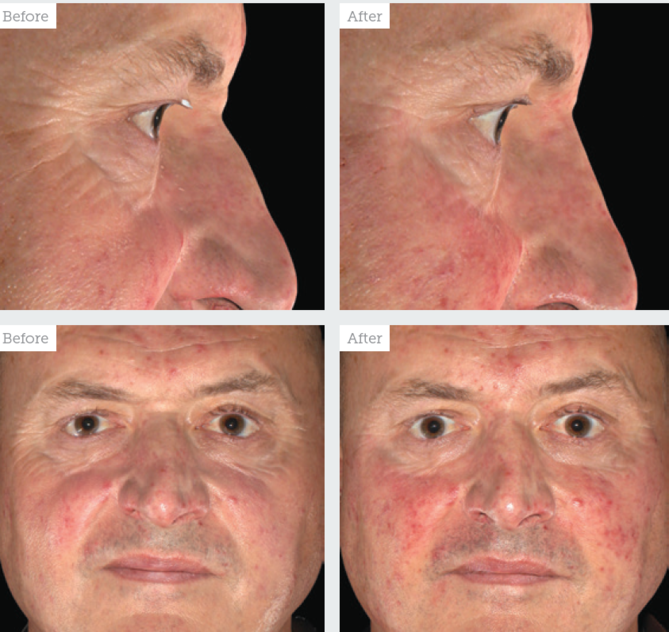 Figure 1: A 49-year-old patient before and immediately after a perioral treatment by Dr Molina using 1ml of Aliaxin SR dermal filler on each side. Images courtesy of Surface Imaging Solutions using the VECTRA H1 3D camera. I began by making an injection point at the very end of the tear trough in the mid-face, about 2cm below the orbital rim using a 23G needle. I then used a 25G cannula and injected deep to the bone and pointed upwards behind the tear trough area, but didn’t go above the bone, and placed some product in the tear trough to soften it. Then I injected directly onto the orbital rim and went perpendicular onto the bone using a 30G needle, placing deposits of product along the whole of the rim on top of the bone. In total, we used 1ml of product per side. In terms of potential complications for this treatment, there is a high risk of bruising in the periorbital area and there is a possibility of oedema if you don’t inject onto the bone. You must mention the risk of blindness to the patient, but, in my experience, if you inject on the bone this risk is really low because there are no blood vessels here. I recommend that anyone treating the periorbital area go to an advanced masterclass to get the appropriate training before they attempt this procedure. It looks very easy when you see it, but you really need to observe and practise a lot; an anatomy masterclass is essential. Considering we used quite a small amount of product, the thickness of the skin and the age of the patient, I thought the results were good and I was very impressed. You can see the difference in volume quite well as the depression was very deep. The patient was happy and said he thought he looked natural and refreshed. As my 53-year-old patient’s main concern was the lower part of her face, I concentrated on examining this area in detail, rather than doing a full facial assessment. What you need to look for is how the lower facial shape fits in with the rest of the face, what the structural changes are, and what treatments would be needed to achieve a more harmonious face. I noticed that although the patient’s skin was of good quality, it was a little lax and there was disproportion to the shape of the face. From the frontal view, you can see that, to the side of the chin, she has a jowl and it curves inwards quite noticeably. From the side, it’s clear her jawline has lost definition and the back of her jaw shape is angulated, rather than a nice 90 degrees.1 I also noticed that she had a downturned mouth, giving her a slightly sad appearance. I wanted to focus on changing the lower facial profile and give it more of a V-shape from the front view and define her jawline from the side profile. I also wanted to make her mouth fit with the jawline so that it runs like a smooth curve from the cheek, right across the lower part of her lip without the little marionette line, which would give her a more harmonious lower face. In the mandibular region, there are three areas that we usually need to address: the bone, the soft tissue and the skin. In this patient, I wanted to correct the boney area of the jawline and the soft tissue area around the mouth, so for this demonstration we used Radiesse (+) dermal filler. It has a good firmness when you inject it, so it feels hard like bone, which is what you want, and you can also use it within the soft tissue. It has the ability to stimulate the skin, so if you have any problems with the skin laxity it will allow for skin collagenase to occur, which will lift and firm the skin. I decided to use a technique that we developed, the Hammock-Lift, to give the patient more shape to her jawline. The Hammock-Lift technique aims to rebuild the boney tissue and then revolumises and repositions the soft tissues, addressing the changes in the mandibular region using a layered approach. Using a 25G 38mm cannula, I injected down onto the supra-periosteal layer and layered some product along the edge of her mandible to increase her mandible height. I used a cannula because it allows me to easily get into different layers and due to the fact that it is generally less painful when injecting deep. Radiesse (+) contains local anaesthetic, which also helps to reduce the pain. I then injected onto the anterior part of the chin and at the back of her jawline to give it more of an angle. Following that, I placed filler within the soft tissues of her jaw to give the patient a straighter jaw. I also placed product in the soft tissues and skin just around the under-lip to marionette line for some added support. For the whole area, we used about 2.8ml of filler. When performing treatments in the mandibular region, practitioners must know where they are placing the products, particularly when injecting deep in the lower part of the face. They need to know where the inferior mental nerve is, which lies just below the canine teeth in the lower jaw, and where the gums are because it’s very easy to inject too deeply and closely to the oral sulcus. Practitioners also need to know where the bone is in relation to the gingival sulcus, where the lips and gum join up, and they must watch out for complications such as vascular problems. Practitioners should specifically know the anatomy in the lower face and the location of the facial artery and vein before performing treatments in these areas. You can see that in the ‘after’ photo there is a nice lower face improvement, however, if you look around the eye, the patient has a developing tear trough and the brow is also dropping slightly, so she might benefit from further treatment. This patient has looked after her skin very well so there’s not a lot more I’d want to do for her as it would make her look over-treated. However, she has a bit of sun damage so I’d be offering her some sort of skin revitalisation, for example Profhilo, an injectable HA that stimulates collagen and elastin, or some chemical peels to improve the skin texture and quality, which will aim to give her skin a bit more ‘sparkle’. In every patient assessment, it is important to explicitly ask patients what concerns them rather than to assume this yourself. This because, I believe, draw attention to something so small that the patient might not have otherwise noticed, or were not bothered about, is unnecessary. With younger patients especially, you can trigger a deep and long-term dissatisfaction in appearance. My patient, a 25-year-old, told me that, overall, what bothered her most was her lips and her skin quality. In my assessment, I noticed that her lips were small compared to her total facial dimension and overall balance. Her face also appeared long; the distance from her nose to the top of her lip was long and her upper lip was lacking. I decided that if I treated her using filler to elevate the lip, it would reduce the nose to lip distance and give a better proportion to both her frontal and profile view. In terms of her skin texture, she had open-pores, some dehydration and small imperfections. She’s Australian and has lived in the sun, so she has had sun damage and she is showing some pigment because of this. I firstly decided to treat her lips using Restylane HA filler. I don’t always use the same product for the lip, but for young patients wanting something a little more definitive I often choose Restylane, because it has high projection and includes lidocaine for pain reduction. I used a needle on this occasion because I wanted to inject more superficially, giving fine definition. I didn’t use a cannula here, but that’s a personal preference because I work better and more precisely with a needle. Initially, I injected along the vermillion border. I also injected into the red body of the lip to augment, as well as the philtrum to define and elevate it. I almost always inject both the upper and lower lip for balance; as HA also hydrates, if you only treat one lip then it might create an imbalance of hydration. In total, I used 1ml of Restylane. The main precaution I take while injecting, as all practitioners must, is to observe the skin as I inject and ensure that I am avoiding placement near the labial arteries. Anatomically I am familiar with their position, and they tend to lie deeper than my superficial filler placement. However, no two patients are the same and anatomy can differ from patient to patient. This is something we often see in cadaver dissections. To address my patient’s skin quality, I used the HA injectable Xela Rederm, which aims to promote skin hydration, while the added ingredient of succinate acid successfully addresses pigmentation concerns. You can inject this in many ways; I like to use a needle and place it at a superficial dermal level into the skin, but you can also use a meso gun or cannula. I treated her mid-face in lateral rows from the corner of the mouth up to the cheek bone and along the jawline; afterwards I gently massaged. For the younger patient, I have found that this treatment gives brighter, glowing skin, while lifting and oxygenating the cells. 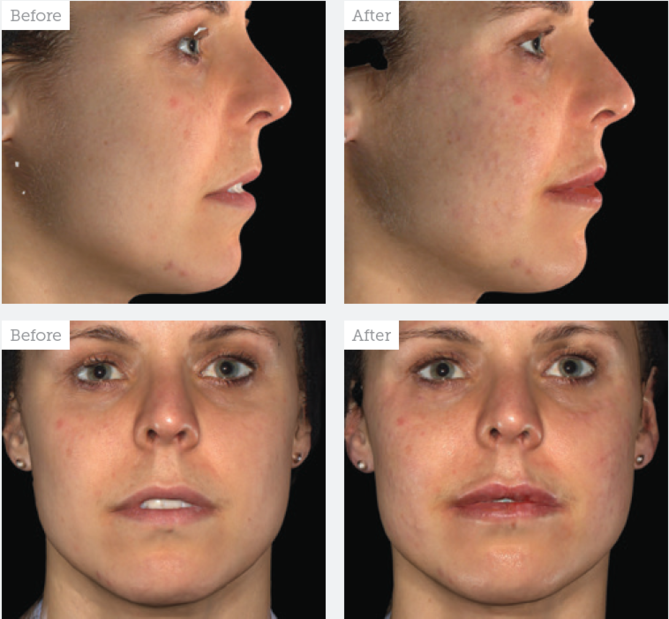 Figure 3: A 25-year-old patient before and immediately after lip augmentation and facial hydration treatment by Sharon Bennett. Images courtesy of Surface Imaging Solutions using the VECTRA H1 3D camera. As the patient had a small asymmetry and her brows were a little uneven, with the left brow sitting higher, I finished off the treatment with some botulinum toxin to elevate the right brow to harmonise them. In terms of future treatments for this patient, she is only 25 years old so I don’t think there are any areas I would necessarily want to change further. We want to refresh and enhance what the younger patient has, and not alter their natural appearance. However, I think, looking at the profile view, that she would benefit from a little filler in the chin to balance the nose chin proportion better, but I didn’t have time to do that on the day. She also had some minor acne, which we couldn’t address on the day, but I would advise a skincare regime that could include retinols, some AHAs and antioxidants. Sun protection is particularly important because of her pigmentation, and to act as a preventative. Overall, I think the results I achieved are good; her lips now give her face more balance and it appears slightly shorter. Her face has also lifted and she looks hydrated. 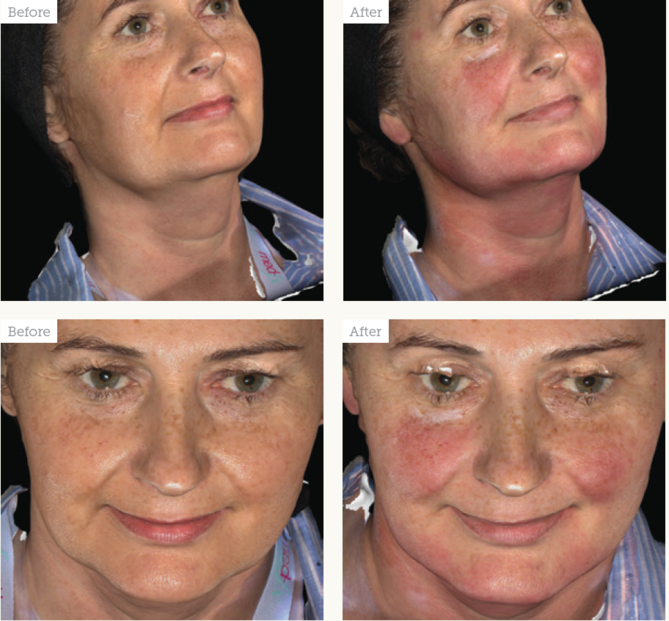 Although one usually needs around three of the hydration treatments to see optimum effects, she would have really noticed a difference immediately in her facial hydration and glow. See all this and more at ACE 2018! Hearing how other practitioners conduct their facial assessments and treatments, as well as learning about their unique approaches to different procedures, is extremely useful in further developing clinical skills. At ACE 2018, which takes place on April 27-28 in London, the country’s top expert practitioners will discuss their experiences on the Expert Clinic and Masterclass agendas. 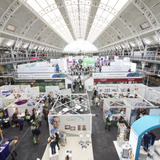 Delegates also have the opportunity to engage in anatomy discussions, learn about complication prevention and management, as well as watch facial assessments and demonstrations at the sessions within the exciting, brand new, paid-for agenda, the Elite Training Experience. 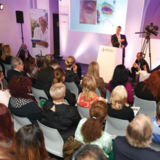 This agenda will provide delegates with a taste of some of the best training that is available in the UK from Dalvi Humzah Aesthetic Training, Academy 102, Medics Direct Training and RA Academy. There are limited places available and the 10% Early Booking Discount for the Elite Training Experience ends December 31. Shaw RB, Katzel EB, Koltz PF, Yaremchuk MJ, Girotto JA, Kahn DM, Langstein HN, ‘Aging of the facial skeleton: aesthetic implications and rejuvenation strategies’, Plastic & Reconstructive Surgery, 2011 Jan;127(1):374-83.